NEW YORK (AP) — For the first time since its meteoric rise, "Fortnite" is no longer a no-doubt victory royale atop the video game industry. "Apex Legends" — a battle royale from Electronic Arts — has charged into the market and smashed "Fortnite" records for downloads and viewership since its release three weeks ago. Tyler "Ninja" Blevins and other streaming stars have powered that surge, as has the emergence of an 18-year-old "Apex" superstar. Esports teams are already scrambling to sign talented players and invest long-term, while others are raising concerns about overcommitting to the suddenly volatile battle royale genre. Developed by Respawn Entertainment and published by EA, "Apex" has shaken the industry by building on many of its shining successes. It has pulled popular elements from other battle royales — a type of video game where players are dropped into a map and fight in a last-man-standing format against up to 100 other gamers — while making a few key changes. Like "Fortnite," ''Apex" is free to download and play, making its money by selling outfits and other upgrades for use in the game. Among its key differences: "Apex" players compete exclusively in teams of three and can choose characters with varying abilities, features essential to team-based esports like "League of Legends" and "Overwatch." The game also went hard after the existing battle royale audience. EA recruited Blevins, Richard "KingRichard" Nelson and other famous gamers, asking them to put down "Fortnite" and stream "Apex" following its release Feb. 4. Blevins alone has over 13 million followers on Twitch, immediately giving "Apex" a massive audience. It's unclear if EA paid those influencers to play the game, and EA did not respond to repeated requests for comment. "Apex" had 25 million downloads in its first week, crushing the "Fortnite" mark of 10 million over its first two weeks after launching in 2017. "I think 'Apex' has caught everybody by storm," said Andy Miller, CEO of NRG Esports, which rosters teams across various video game titles. "They did a phenomenal job of getting the influencers to play it first, feeding the market on Twitch and then watching everybody starting to play the game, and the game is good." Six days after the game launched, NRG announced it was recruiting "Apex" players, making it the first esports organization to seek a pro specifically for that title. General manager Jaime Cohenca led the search, combing through applications and Twitch streams. With the game being so new, Cohenca wasn't entirely sure what he was looking for other than an "exceptional talent." Coby "Dizzy" Meadows is an 18-year-old from Florida, and he is believed to be the best "Apex" player in the world. NRG signed him Feb. 12, and later that day, Meadows made major waves in the esports community by killing 33 of his 59 opponents in one match — a viral moment that generated nearly 500,000 views on YouTube alone. The next day, Meadows teamed up with Blevins and Nelson, also an NRG player, to win the $200,000 Twitch Rivals Apex Legends tournament against a lineup of streaming megastars. Behind big draws for Dizzy, Ninja and KingRichard, "Apex" smashed another "Fortnite" record that day: 8.28 million hours of "Apex" were streamed on Twitch, topping the "Fortnite" mark of 6.6 million from July 20, per The Esports Observer. The question now: What comes next for "Apex," ''Fortnite," and the stars and companies building up around their popularity? No doubt, NRG's fast move on Meadows has paid off, and other top esports organizations have since begun recruiting their own "Apex" pros. But it's still not clear what kind of scene they're staffing up for. Epic Games, the developer behind "Fortnite," hasn't prioritized that game's competitive sphere in the same way that companies behind "League of Legends" or "Overwatch" have. Top "Fortnite" players like Blevins aren't necessarily stars because they win every tournament. 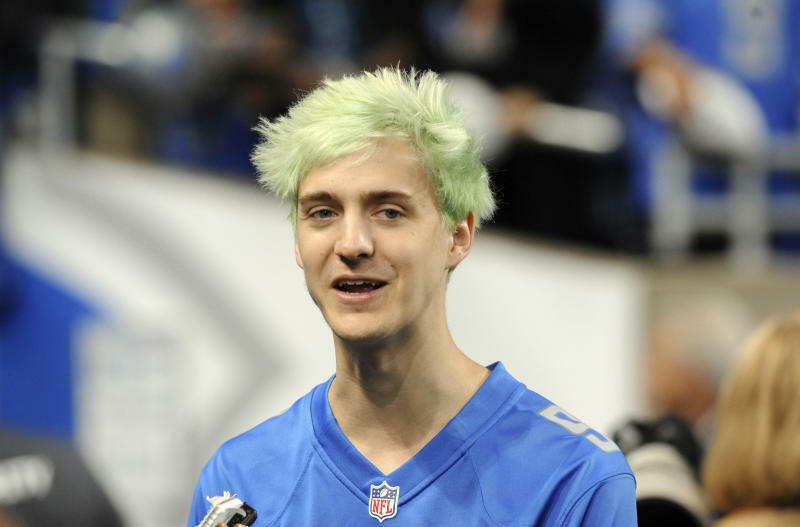 Ninja is a skilled gamer, for sure, but what has separated him is that he's entertaining, a talent that pairs well with a goofier game like "Fortnite." "Apex" lacks those cartoonish vibes, and its rules and structure could lend it better to competitive esports — where skill and teamwork become more important than engaging on Twitch. EA has experience building leagues around its games, too, most notably with sports titles like Madden and FIFA. Right now, it's unclear where "Apex" is going, and for how long it can hold that space. That's part of why Ari Segal, CEO at Immortals, has been hesitant to invest in battle royale players. He remains cautious, especially now that "Apex" has drawn up such a spectacular blueprint for entering the market. Immortals and NRG are at opposite ends of that spectrum, in many ways. NRG already has plans to build out a full "Apex" team so it's ready to put a talented squad in the field no matter the competitive and streaming structure. It also plans to maintain its "Fortnite" roster, which features entertaining streamers like Nelson.